You can use this webpage to subscribe to the CPES email notification system or to modify your existing subscription. Just select your areas of interest from the list below, enter your email address, and click or tap Submit. We'll send an email to you whenever a new event associated with any of your selected areas becomes available or when the next session of an established event is scheduled. 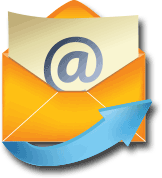 Our email policy: We will not share your email address with any outside party, and we will send to you only email that concerns the area(s) of interest you have indicated. For existing subscribers... Please cancel my subscription. Please enter your email address in the space below. Please be sure to check it for accuracy. Click or tap this button to submit your subscription information.